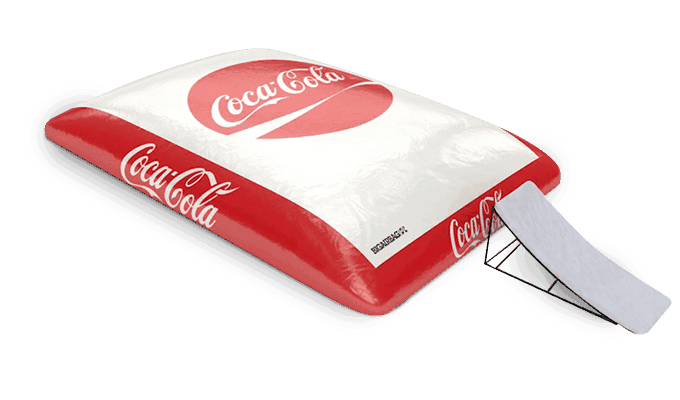 BigAirBag® has become an all-season attraction that can be used to create many thrilling, unforgettable and unique activities for extreme sports, adventure experiences and events. Hand built exclusively in Holland using the finest German made materials, manufacturing techniques and machinery. Safety is the foundation of our success and something we take very seriously! In the 10th year of its existence BigAirBag® was featured in a full episode of “How Do They Do It?” Produced by Wag TV for Discovery Channel the program explores how ordinary objects are made. The video gives an entertaining insight into the technology and advanced production facility behind BigAirBag®. 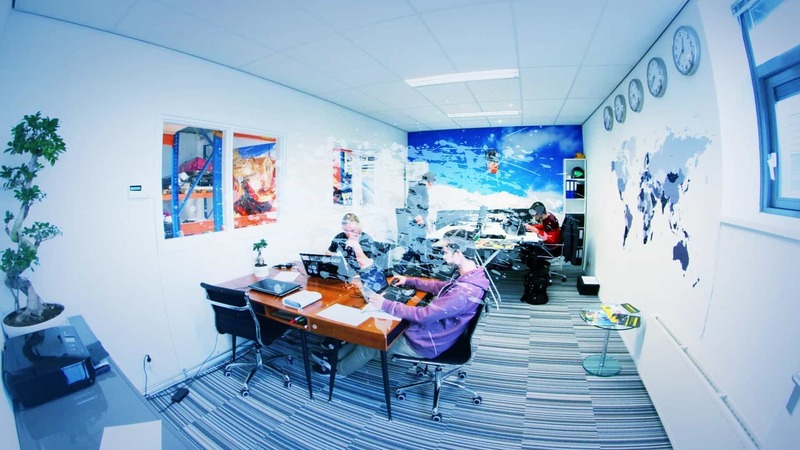 Some might think that it is weird that a product first used for freestyle snowboarding/skiing was created in Holland, one of the flattest countries in the world. But if you have been riding our indoor slopes, then you will know just how unforgiving the landings there are! 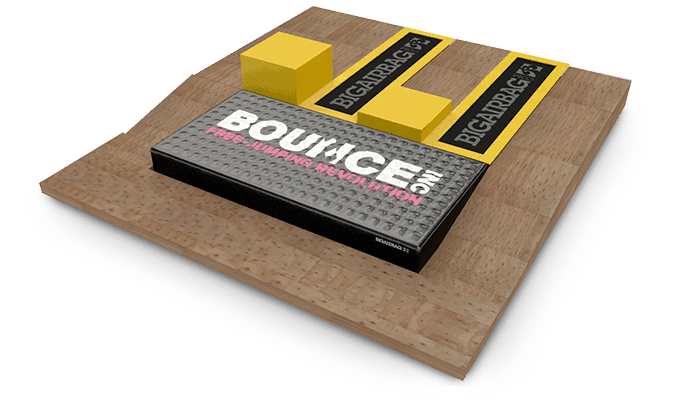 Marcel Kraan knew these landings far too well and after years of hard falls, broken bones and injuries, Marcel an avid snowboard enthusiast from Holland set his sights on designing a safe training platform for freestyle athletes. Inspired by the stunt airbags of yesteryear, Marcel set about building the first true freestyle airbag designed specifically for freestyle sports. In 2005 Marcel’s BigAirBag® made its debut to the freestyle sports scene at the indoor snow-sports facility, Snowplanet in Holland. 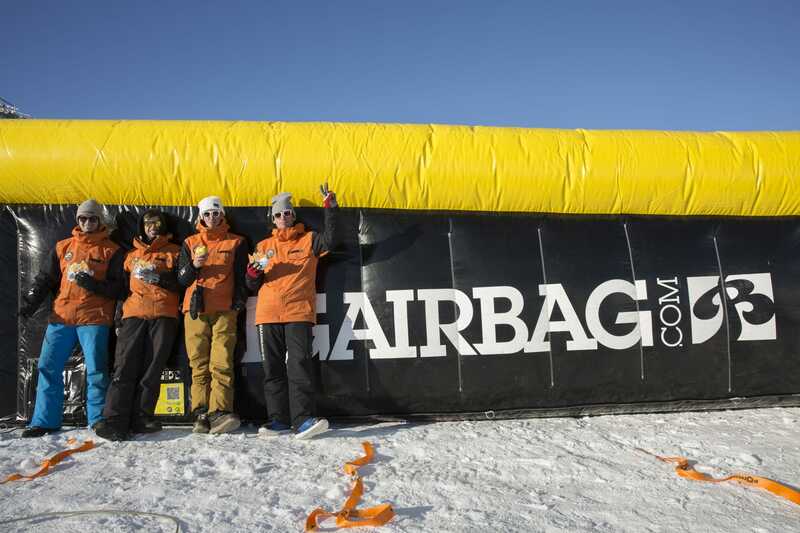 The BigAirBag® was an instant success and before long Marcel was invited to host events at Europe’s largest ski resorts in Austria, France and Switzerland. Regardless of your requirements BigAirBag® provides seamless customer service from the day you make your initial inquiry to the product installation and beyond. Our products are internationally certified for quality and safety by both the TÜV and Vincotte. In order to give you the security you require and a guarantee of the quality and durability of our products we offer a full warranty on all of our products. Over the last ten years BigAirBag® has worked with some of the worlds best freestyle athletes, brand names, event agencies and stunt coordinators. The extreme demand for providing a top level of safety has driven innovation and product development. The responsibility we have towards our customers and the end users of our products has provided the driving force necessary to develop a range of products and features that our customers can rely on in the most testing of circumstances. 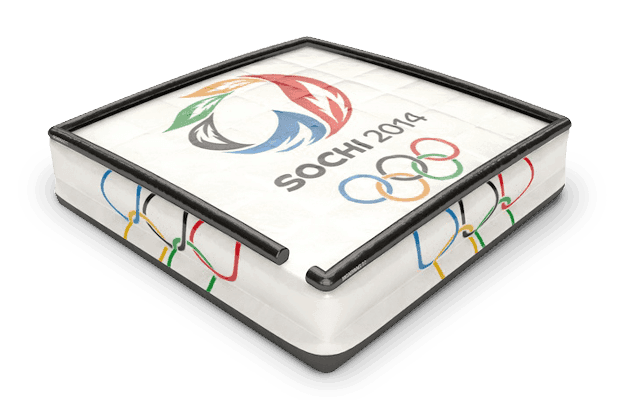 Although the first BigAirBag®s were designed and built as a training platform for freestyle snowboarding and skiing, since BigAirBag® has moved on to develop airbags for a wide range of sports applications such as BMX, mountain bikes, FMX, free fall, climbing, trampolining and gymnastics. 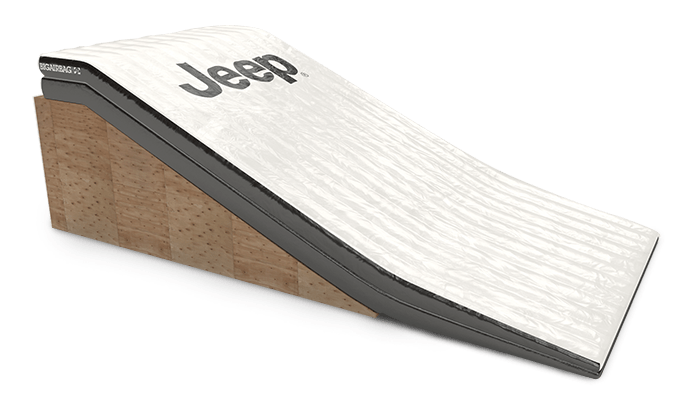 Today our products can be found at terrain parks, bike parks, high ropes parks, dry slopes, climbing centers, indoor trampoline parks, theme parks, gymnastics clubs and much much more. As a result we have accumulated a wealth of experience and know-how which allows us to serve our customers regardless of their demands for safety, quality and durability. All BigAirBag® products are developed, designed, manufactured and stringently tested for safety & quality at high-tech production facility in Holland. Only the finest German made materials from Mehgies and Sioen the most advanced production techniques available have been incorporated to guarantee you the very best quality. For peace of mind our products come with a full warranty and internationally recognized quality & safety certification from the TÜV and Vinçotte. BigAirBag® products conform to or exceed both the European Union safety regulations for inflatable sports equipment (EN-14960) and the US safety regulations set out by the ASTM. 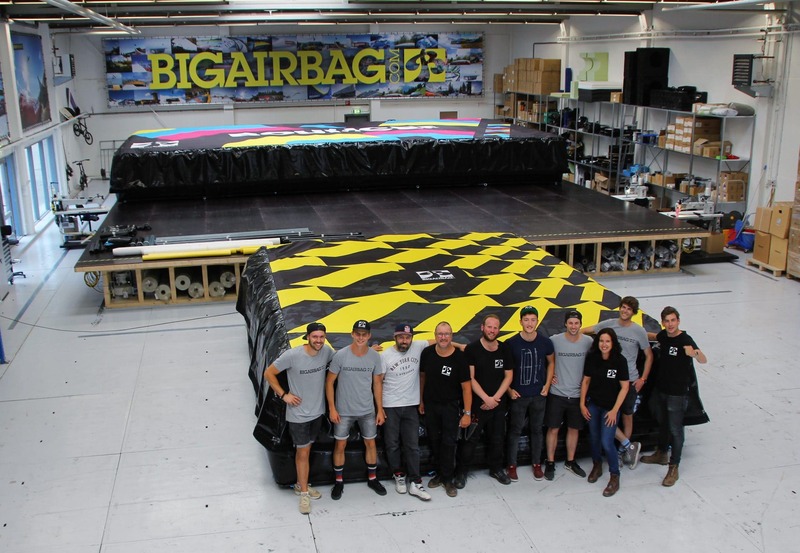 In order to provide a high level of safety and quality BigAirBag® has invested heavily in developing the most advanced production facility specialised in inflatable sports equipment in Europe. The use of computer aided design software linked directly to our automatic cutting equipment provides absolute accuracy within the production process. Our high-frequency welding equipment allows us to fuse sections together offering unrivalled strength on essential parts of the BigAirBag®. Precision and accuracy is monitored throughout the production process ensuring that the product you receive is the best in the world. Safety is the foundation of our success and something we take very seriously. Although we are confident that our products are the safest of their kind, how they are used plays a key role in terms of safety and product longevity. As a result we offer our customers full theoretical and practical product training for their desired application. Training includes detailed instruction on how to set-up, take down, package, transport and maintain the BigAirBag®. This invaluable know-how gives you all the information and experience necessary to use the product safely and responsibly while extending its life-time even further. At BigAirBag we recognize just how important appearance is for many of our clients. Our professional design team will work closely with you to create a branding concept for your BigAirBag that delivers your brand message in unrivaled quality and accuracy. 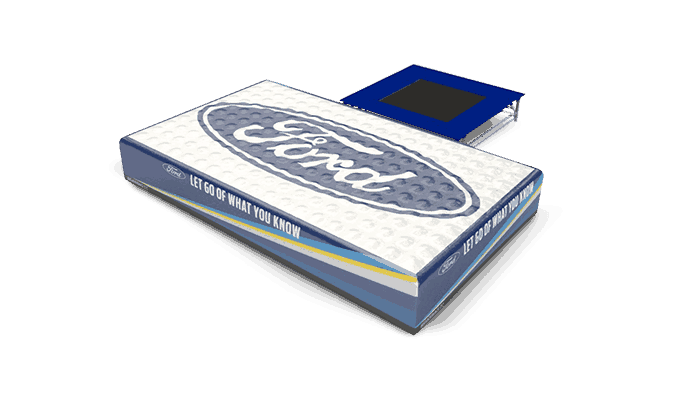 Before we manufacture your BigAirBag we can create highly realistic 3D models of your airbag allowing you to visualize how the product will look in reality and how it will fit into your unique branding and marketing concept.